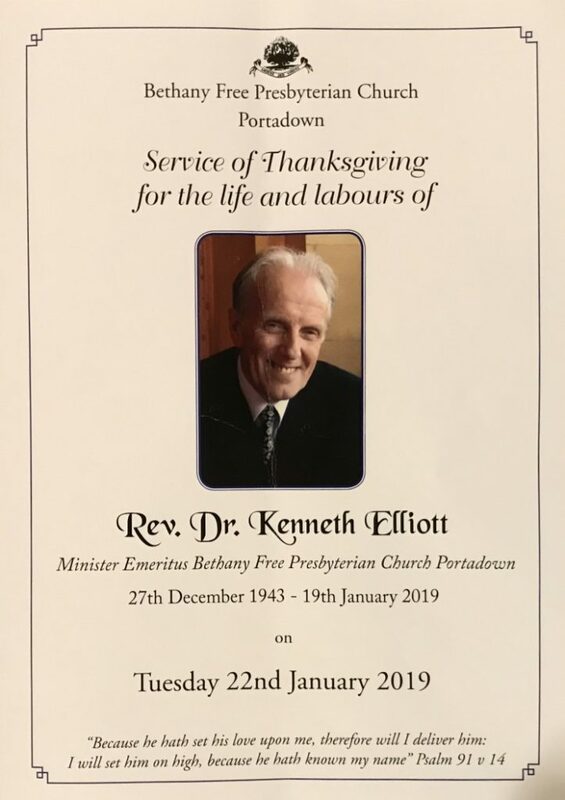 Rev Ken Elliott was a much loved brother in the Lord and a most faithful servant of God. We express to his wife Jean, his two daughters, Alison and Shirley and his son John and their respective families our deepest sympathies.‘Well done, thou good and faithful servant . . . . enter thou into the joy of thy lord,’ Matthew 25:21.